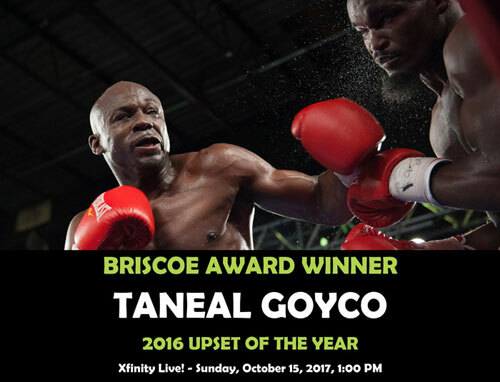 Philly super middleweight Taneal Goyco, returns to the Briscoe Awards for his second-ever trophy for the “Upset of the Year”. Goyco won the same award two years ago and repeats for 2016, with his shocker over rising Maryland prospect Jerry Odom. The pair met on November 11, 2016, at the 2300 Arena in South Philadelphia, and after a rocky start, Goyco punched his way back into the fight was declared the upset winner by TKO after five rounds. Often taken lightly for his modest ring record, Goyco, 9-10-1, 4 KOs, has made pulling upsets his specialty. He’s recorded the “Upset of the Year” in two of the last three years. The event returns to Xfinity Live! Philadelphia, the central hub of Philly's sports stadiums, located at 1100 Pattison Avenue in South Philadelphia. 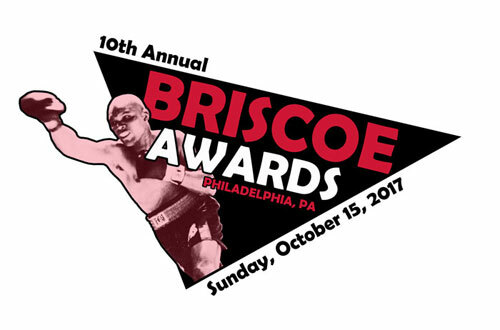 Admission is $5, tickets can be purchased at BriscoeAwards.com or by calling 609-377-6413, and will be available at the door. Everyone is welcome.